The name Heirloom was first used by Lady Anne Blunt when referring to the earliest Egyptian horses as a unique and valuable blood stock. Only fifty-seven Al Khamsa Foundation Horses form the base of the gene pool we now call Heirloom, and their living descendents number around 850 horses. Unfortunately, since Lady Anne's death in 1917, no systematic efforts have been made to keep this herd intact. That we have any of this blood intact today, without additive elements, is a miracle of chance. All of these horses are Al Khamsa and American Foundation. Since Heirloom Arabians are rare and precious I will only allow my Heirloom mares to be bred to approved stallions (Babson's and Doyle's are usually safe). Not all Straight Egyptians are Heirloom (and vice versa). All Heirloom Egyptian Arabians are Sheykh Obeyd. Sabbahs Marjah <r> is the *only* daughter ever produced by Shar Sabbah. It breaks my heart to announce the passing of Sabbahs Marjah in February 2006 along with the passing of Ibn Lothar, May 23, 2006, and Inshalla Imhotep, May 23, 2009. All were greatly loved, and are dearly missed by the "Fippen Farm Family" and everyone who knew them. Miracle RSI- 1982, The last son of *Bint Dahma whom Richard Pritzlaff imported from Egypt in 1958. This stallion has never been bred in real life. Sadly, his precious bloodlines may never be reproduced. A stunning little 14.1hh package of attitude! 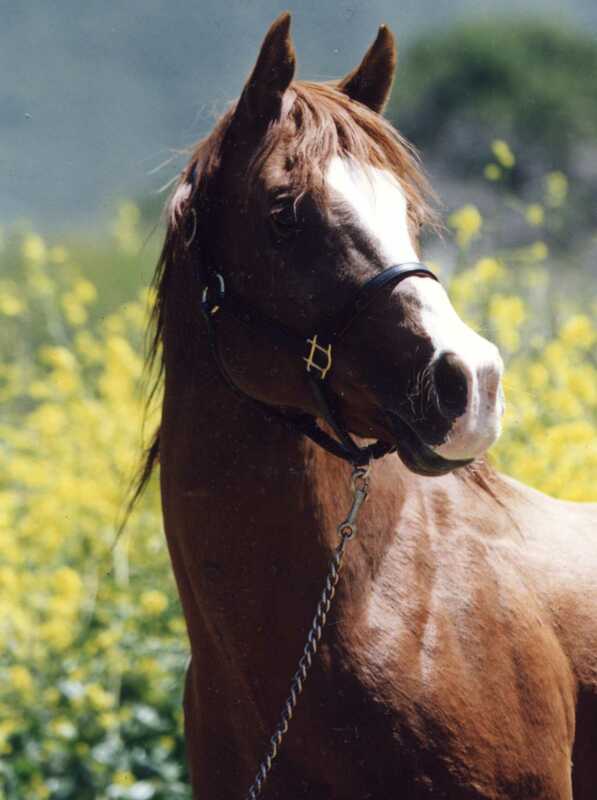 This stallion is 24.5% Masoud, who is largely responsible for carrying the sabino gene. Gavin and Rahoney are the only two existing Heirloom horses who do not carry the mare, Dajania in their pedigrees. Breyer OF #472 "Huckleberry Bey"
Peter Stone OF "Padron's Psyche"